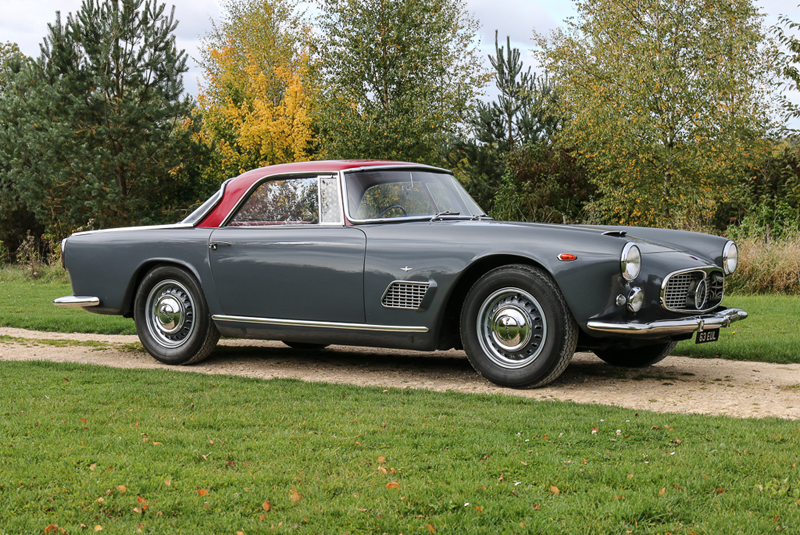 Silverstone Auctions returns to Birmingham’s NEC for its two day Classic Motor Show sale from 10-11 November, with over 120 vehicles set to cross the block. 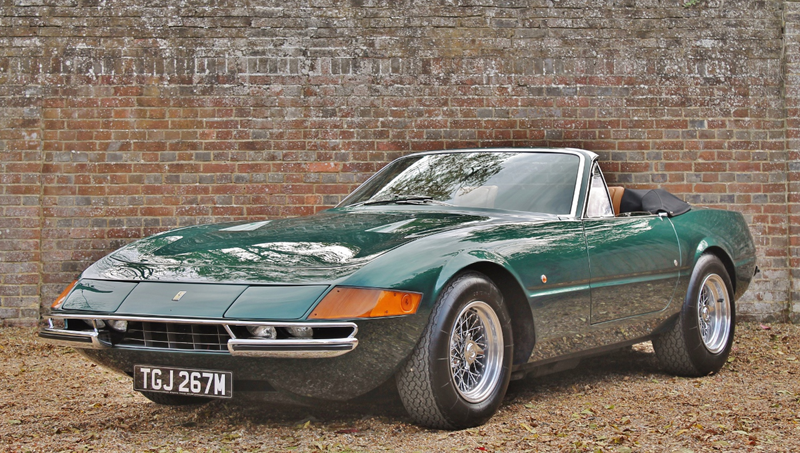 Topping the entry is a right-hand drive 1973 Ferrari 365 GTB/4 Daytona finished in the original scheme of Verde Pino over tan hide, estimated at £450,000 – 550,000. It is believed that chassis 16761 was converted to a Spyder configuration via Maranello Concessionaires in 1987, and following a number of years in storage was recommissioned by DK Engineering in 2017, with a repaint in early 2018. 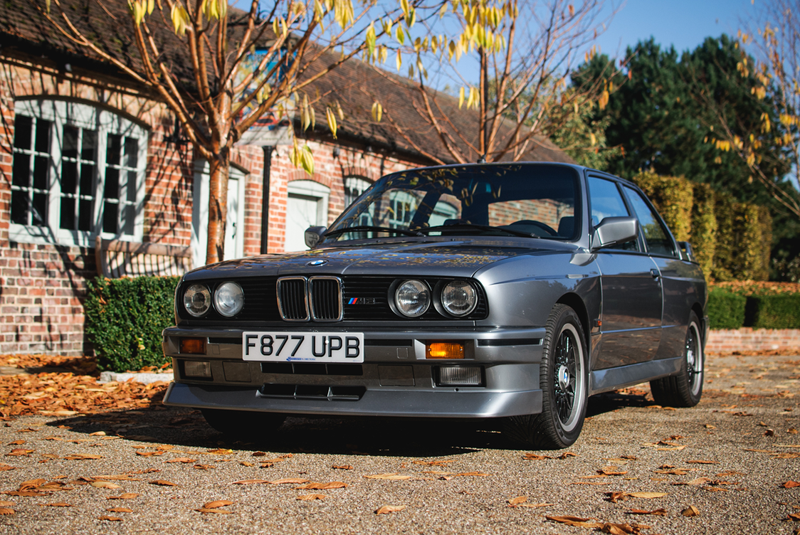 An 18,000-mile 1989 BMW M3 Cecotto has been consigned as part of a seven car entry from the Jay Kay Collection. The car is one of only 505 limited editions built and has been owned by the Jamiroquai frontman for some ten years (estimate £70,000 – 85,000). Elsewhere, the M3’s forerunner is also on offer in the shape of a 1974 BMW 2002 Turbo. One of 1,672 built, the car was imported into the UK in 1982 and subsequently passed through the hands of noted specialists Munich Legends in 2007 (estimate £75,000 – 85,000). 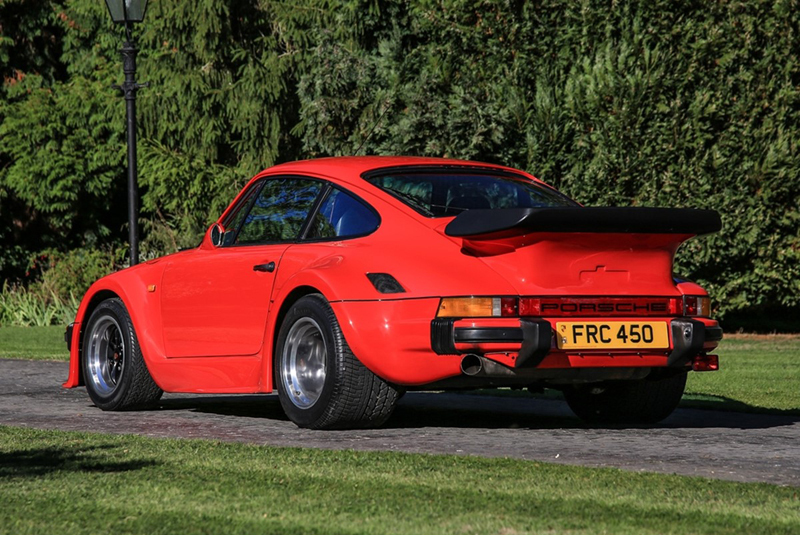 Other notable entries include a 1973 Ferrari Dino 246 GTS which received a mechanical overhaul and respray by renowned marque experts Foskers, with bills totalling over £45,000 (estimate £280,000 – 320,000); an award-winning 1981 Porsche 911 Turbo – restored by JCT600 Porsche Centre Leeds as part of a Porsche GB competition (estimate £80,000 – 95,000); and a 1960 Maserati 3500 GT, one of only forty right-hand drive examples (estimate £165,000 – 185,000). The second day of the sale also features two cars with ‘A-List’ celebrity status. A 1945 Willys MB Jeep which was owned by the Hollywood legend Steve McQueen is estimated at £80,000 – 100,000, while a 1984 Rolls-Royce Corniche Convertible that was presented to Frank Sinatra on his 70th birthday by Dean Martin and Sammy Davis Jr. carries a guide of £105,000 – 125,000. Bonhams’ traditional London to Brighton Run Sale takes place on 2 November, two days before the annual Hyde Park to Madeira Drive veteran car pilgrimage. 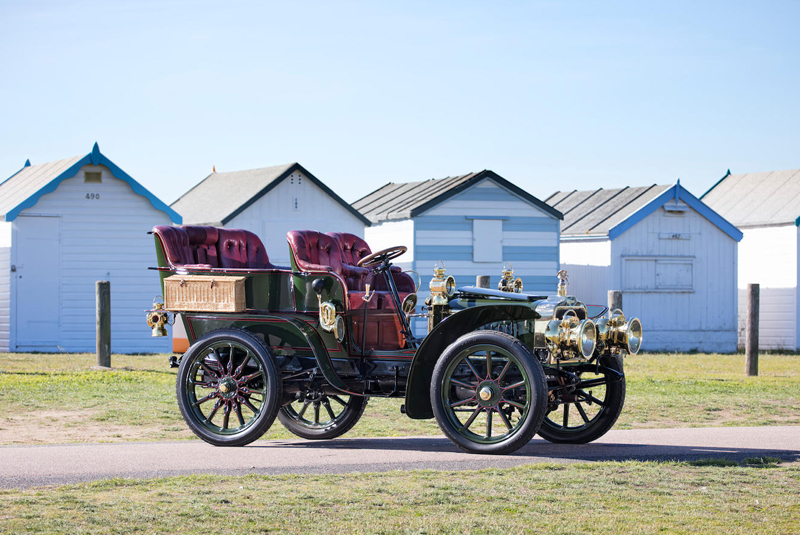 Star attraction among the 13 vehicles entered for the sale is a 1903 Darracq 24hp Model JJ that accompanied the infamous 1903 Paris-Madrid race, a wooden plaque confirming the car as number '41' of 'Les Touristes' at the event (estimate £550,000 – 650,000). 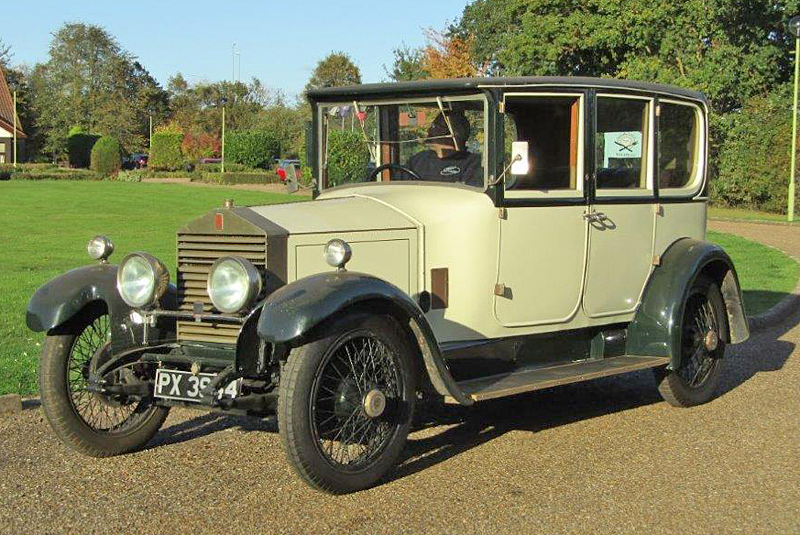 Among the seven Rolls-Royces from the collection of the late P. Webb going under the hammer at Anglia Car Auctions on 3 November is a 1926 20hp Tourer. The car originally featured coachwork by Thrupp and Maberley, and appeared in the 1971 comedy horror film The Abominable Doctor Phibes, starring Vincent Price (estimate £27,000 – 30,000). 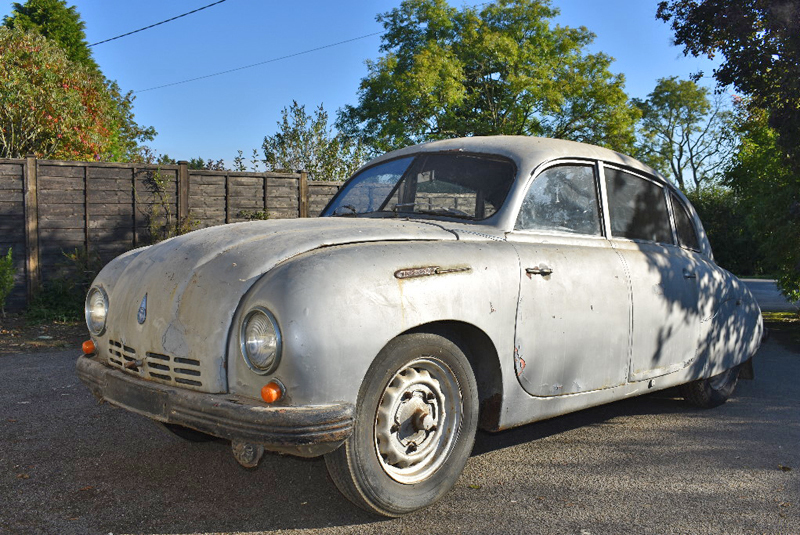 A 1949 Tatra T600 Tatraplan heads to Charterhouse on 4 November with a pre-sale estimate of £9,000 – 11,000. The car is one of only 2100 produced and comes from a private collection, having been dry-stored since the mid-1980s awaiting restoration. 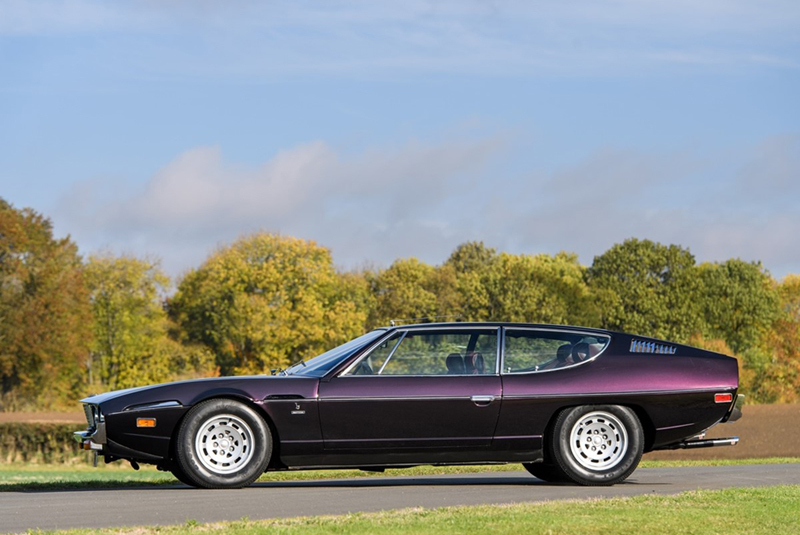 Italian exotica at Historics at Brooklands’ 24 November sale includes a 26,000-mile 1974 Lamborghini Espada Series III which resided in Colorado with its first owner until June 2018 (estimate £78,000 – 90,000); a right-hand drive 1964 Alfa Romeo 2600 Spider which has covered some 4,000 miles since emerging from a meticulous two-year restoration in 2015 (estimate £115,000 – 130,000); and a 1959 Lancia Flaminia GT with an upgraded 2.8 litre engine and recent work by marque specialists Omicron (estimate £95,000 – 120,000). Other highlights include a 14,920-mile 2008 Mercedes-Benz CLK63 AMG Black Series – one of 25 UK right-hand drive examples (estimate £85,000 – 105,000); an ex-James Hunt 1979 Mercedes-Benz 450 SEL 6.9 which was owned by the F1 star from 1980 until his passing in 1993 (estimate £23,000 – 29,000); and a fabulous example of ‘80s style – a right-hand drive 1986 Porsche 935 by DP Motorsport with 23,910 miles from new (estimate £145,000 – 170,000). 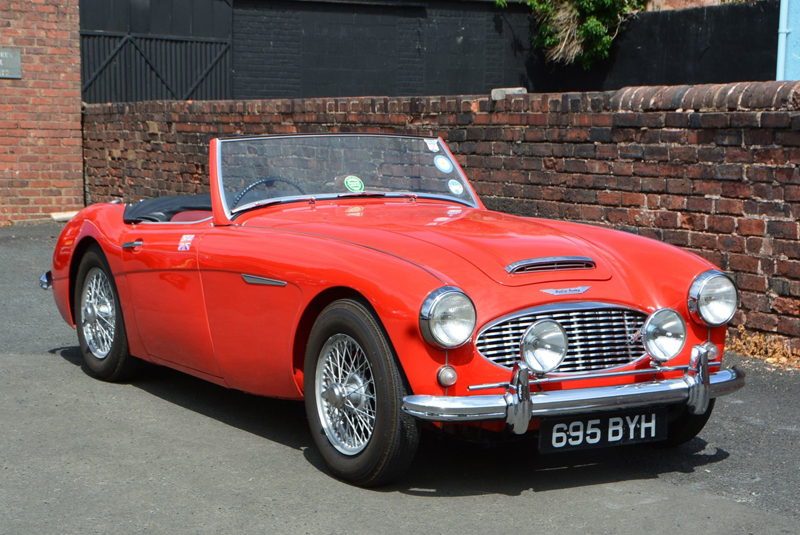 Brightwells will offer a three-owner 1961 Austin-Healey 3000 MkI BN7 at their sale on 28 November (estimate £35,000 – 40,000). 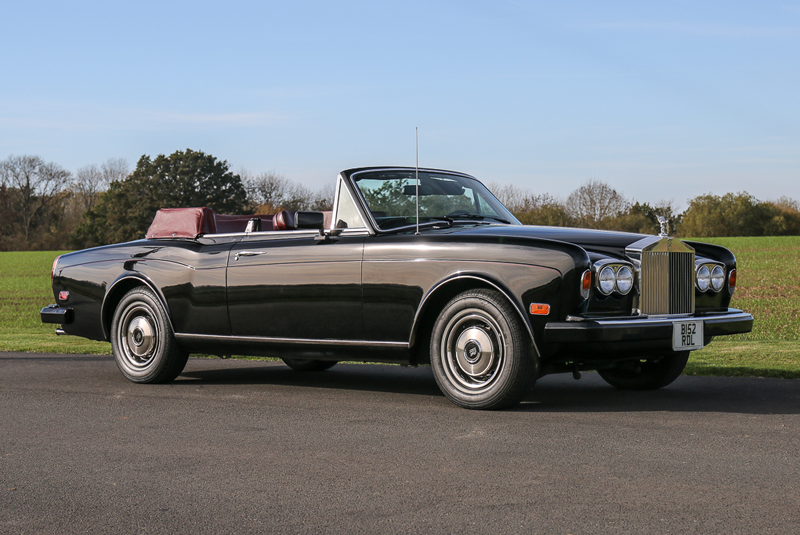 The car was sold new by Charles Clark Ltd of Wolverhampton, the salesman subsequently buying it back from the first owner in 1979, whereupon he embarked on an exhaustive renovation which was completed in 1981. A life as an award-winning show car followed, with less than 500 miles being clocked up between 1984 and 2000. The current owner purchased the car in 2000 and has only added a further 2,600 dry-weather miles since. 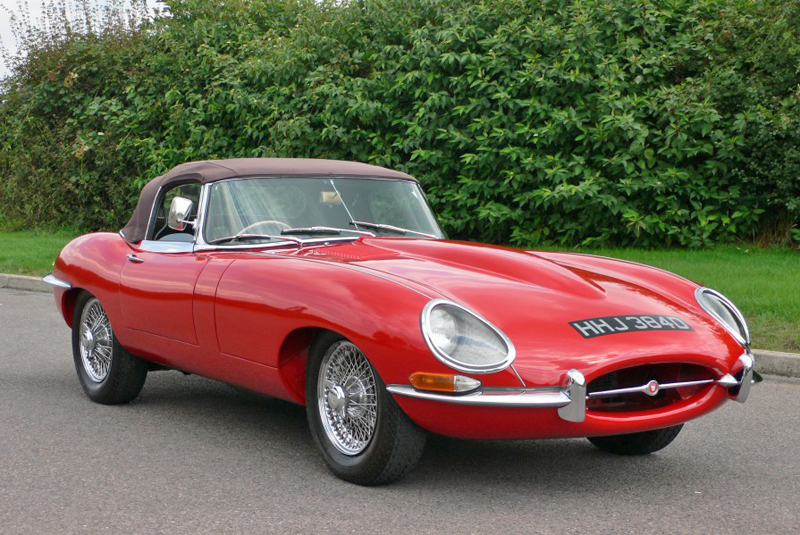 A 1966 Jaguar E-Type Series I 4.2 Roadster is one of the highlights among the early entries at DVCA’s 29 November sale. The car spent a number of years in long term storage until 2007 when it was recommissioned and returned to the road, more recently being the subject of a mechanical overhaul and respray in the original colour of Carmen Red, whilst retaining the original upholstery and hood (estimate £95,000 – 110,000).